The Love-in-a-Mist in my Dad's garden has all transformed into seed heads now, after a beautiful fluffy summer riot of blues and greens. They're such ingenious plants, creeping through unlikely cracks in the pavement, and in their native countries they cheerfully pop up on wasteland. Despite looking so fragile, they're pretty hardy. 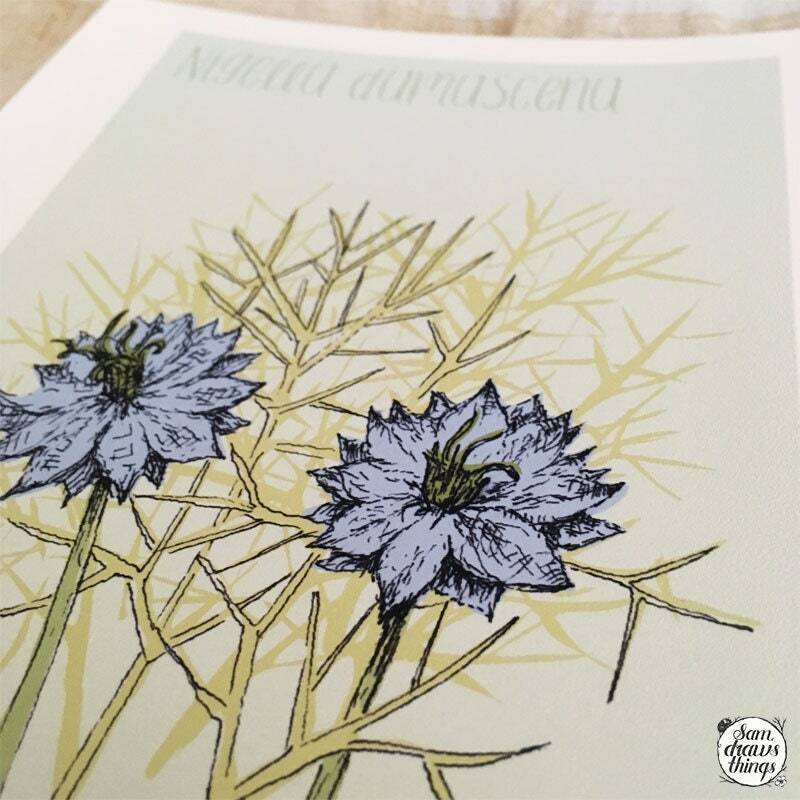 The Nigella are carefully drawn in pen and ink. 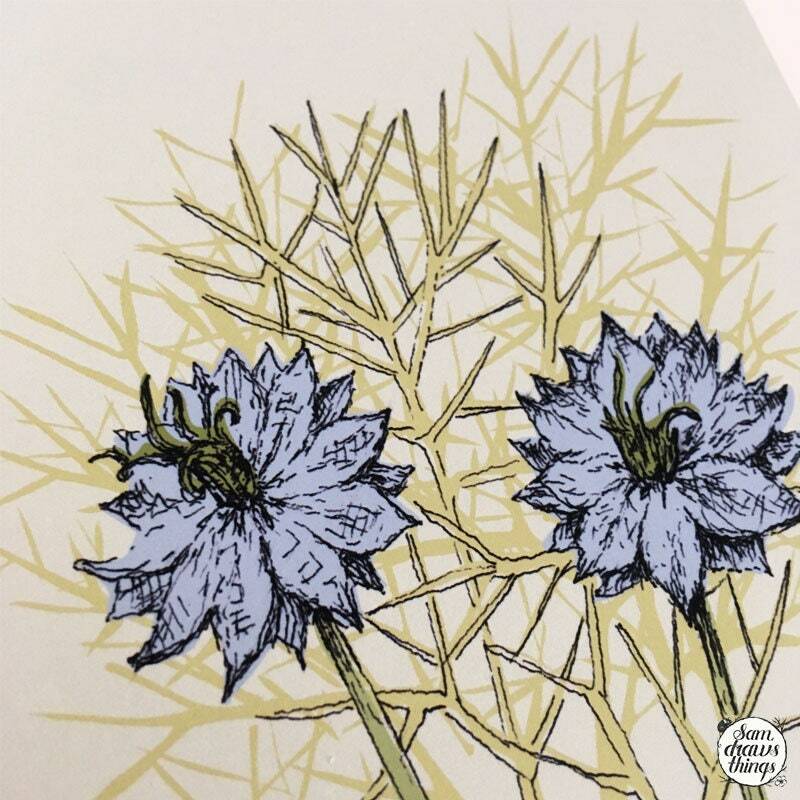 I've added the colour and text digitally to capture the pretty pale blue of these delicate flowers. 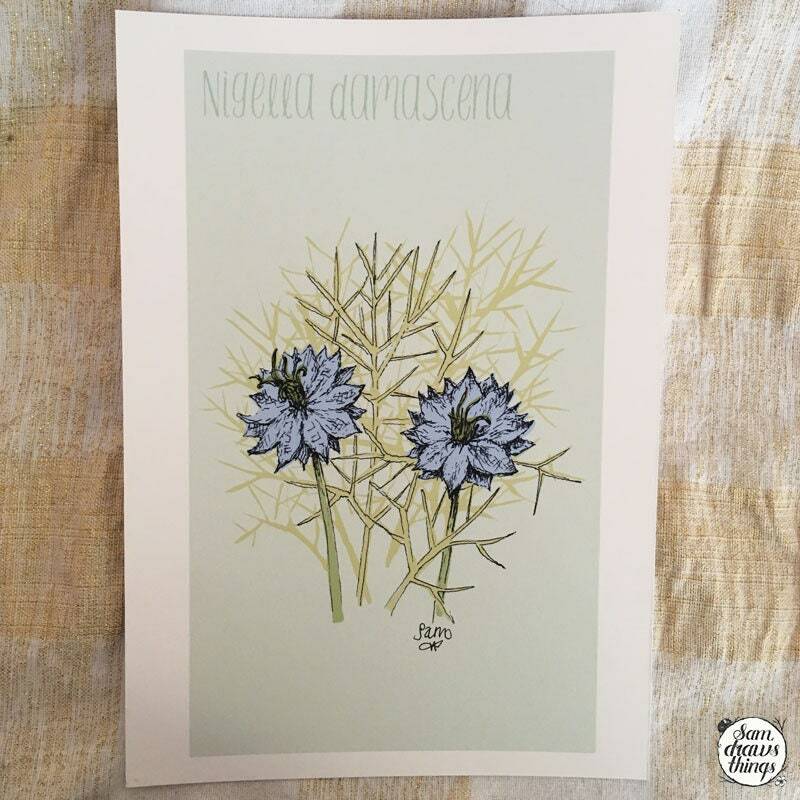 This listing is for a signed A5 giclee Nigella print on lovely archival paper. It is unmounted, and comes safely wrapped in biodegradable cellophane ready for you to find the perfect frame. 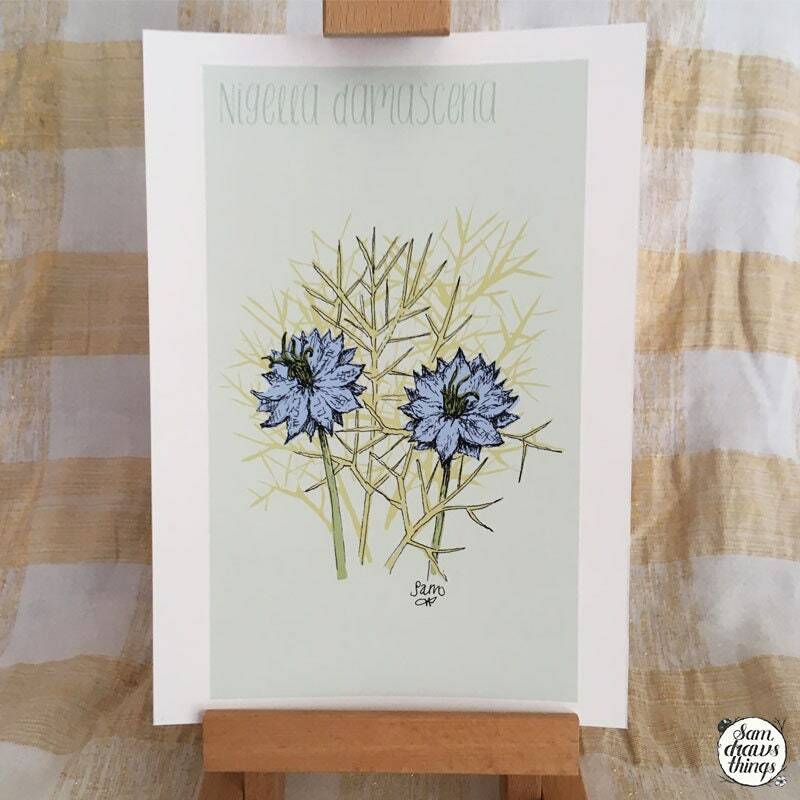 Another beautiful print for the Flower Power Fund!